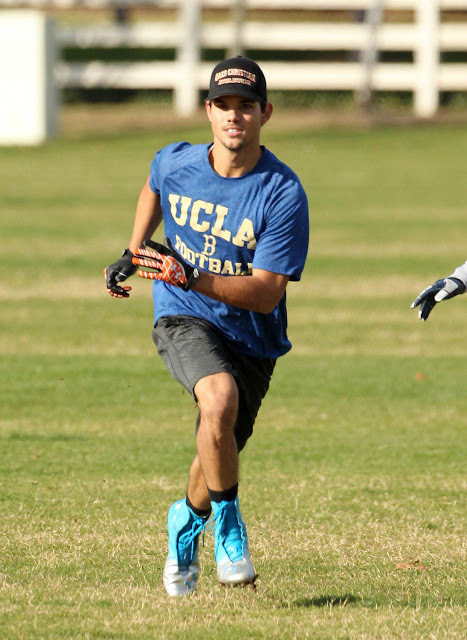 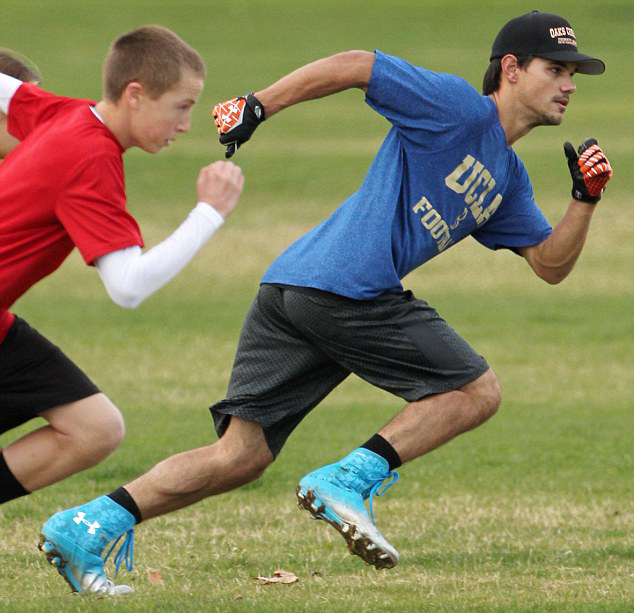 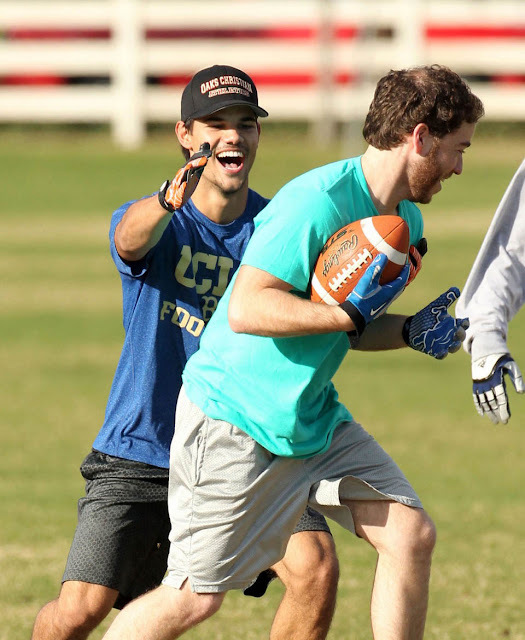 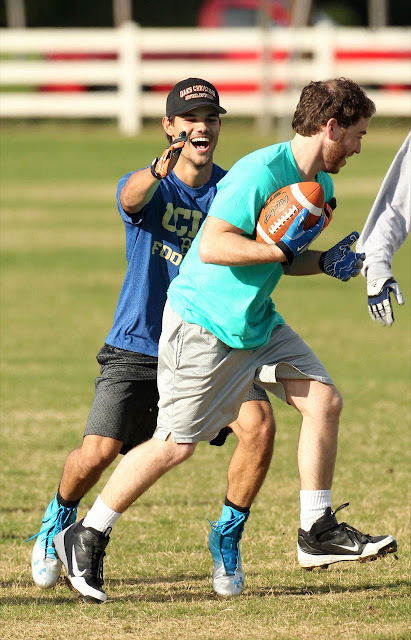 Taylor Lautner and Patrick Schwarzenegger was spotted playing football with a few friends at Calabasas, Los Angeles. The Grown Ups 2 costars were seen laughing and joking as they worked up a sweat. 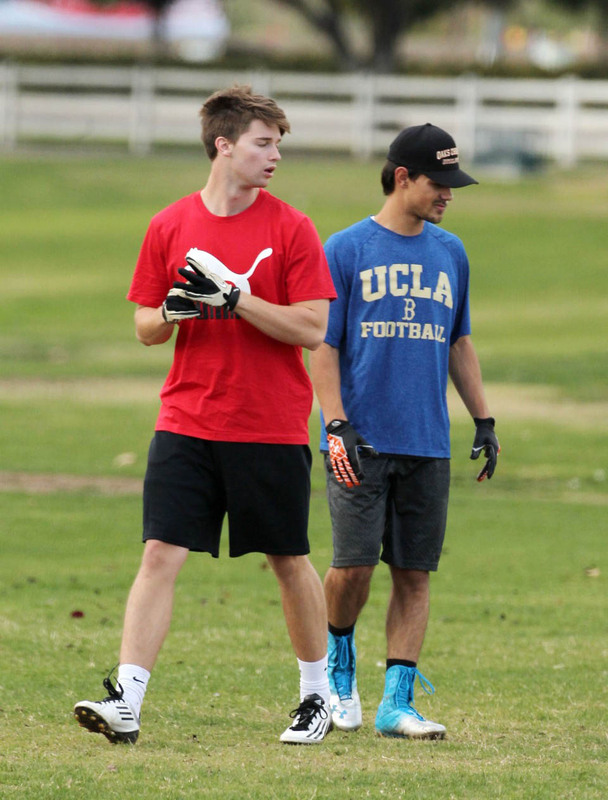 Patrick, 19, looked relaxed and happy in black gym shorts and a red T-shirt. 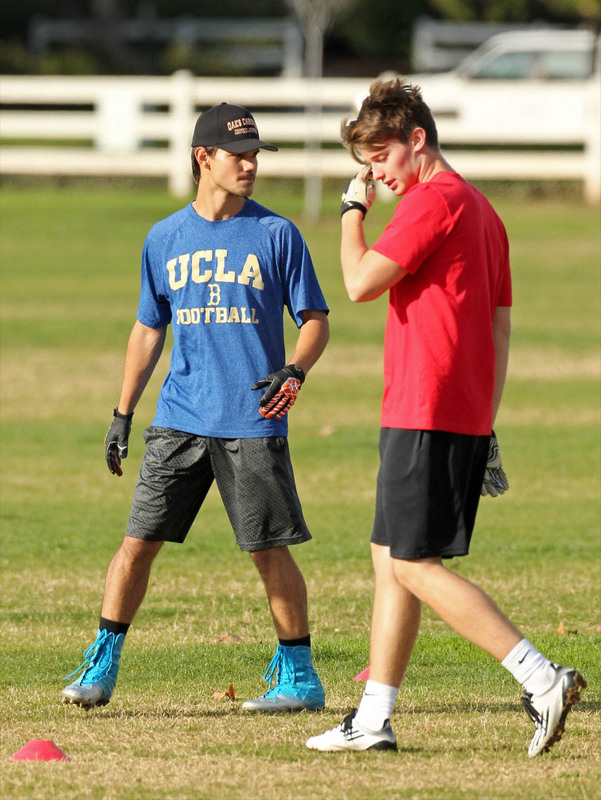 His 20-year-old Twilight pal sported a UCLA football shirt and a black baseball cap.